You can sell in cash, checks or credit/debit card. 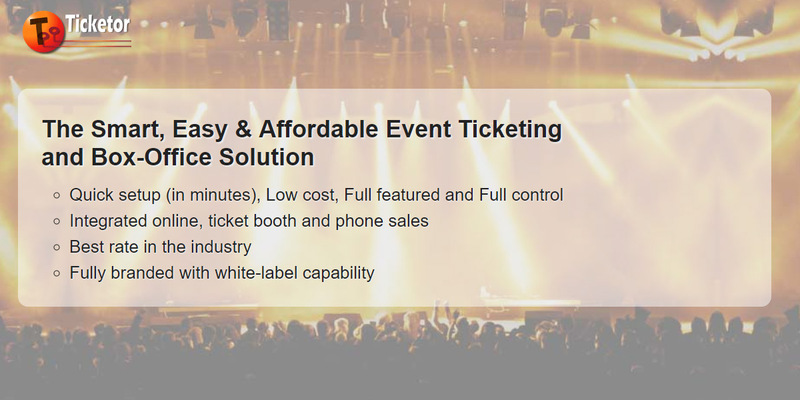 If you need to sell tickets at the venue (box-office), or you have retail stores where people can buy tickets in-person and probably pay cash, or you want to provide a phone line that people can call and buy tickets by phone, this blog is for you. 1- The user selling the tickets, needs to have "Sales Agent" role, probably with the permission to sell in cash. You can have as many "Sales Agent" users. The sales agent may have different level of access and permissions. They may or may not have permission to sell in cash, give discount, charge extra and more. 3- For face-to-face sales, you probably need a printer and optionally a credit card reader. You can use a regular ink-jet or laser printer to print paper tickets, or a professional thermal printer to print professional hard-copy tickets. 4- Credit card reader is optional. You can manually enter the credit card information using your keyboard, however, a credit card reader speeds up the data entry process. 5- You can use the fast, touch-friendly box-office sales page to quickly sell tickets and print them out. 6- For Over-the-phone sales, tickets can be emailed to the buyer in the form of e-tickets or can be set for pick up (will-call) or mail (post) . If you have any questions or need to obtain information and purchase compatible devices (Credit card readers, Thermal printers, Barcode scanners, etc. ) please check out Ticketor store or contact us at AdminSupport@Ticketor.Com.